Aesthetic There are 9 products. 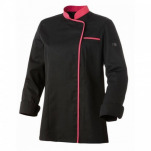 Chasuble Laur, polyester/cotton. A short-Cache model with heart hole belt. Excellent model for relaxing massages. Available in XS, S, M, L, XL and in white, black or brown. 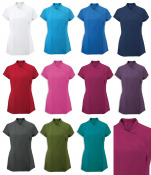 Asymmetric lady's tunic with zipper and 3 concealed snaps, 100% polyester easycare. 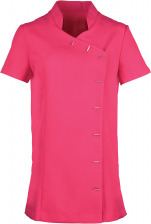 Tunic with mandarin collar, 2 concealed side pockets, pleats at the back, side slits. Touched sweet. Washable up to 40°C. Exists from size XS to 2XL. Back length from 72 to 78 cm (increases depending on size). Towel 100% cotton terry white 50x90 cm, 360 gr/m². Towel with 2 battens of 1 cm. Absorbent towel with soft touch and fast drying. Washable towel at 95°C. Bath sheet or bath towel 100% cotton terry white 70x140 cm, 360 gr / m². Bath sheet with 2 battens of 1 cm. Absorbent bath towel with soft touch and quick drying. Washable bath towel at 95°C.